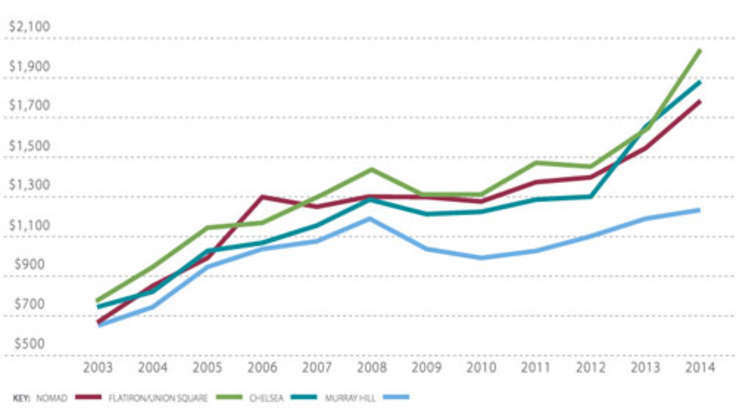 Brooklyn’s ascent as New York’s borough of cool has been mirrored in the growth of its once humble skyline. The borough’s beloved clock tower at One Hanson Place (512’ tall) held the title of Brooklyn’s tallest for some 80 years only to be topped by four conventional high-rises finished in the last decade. 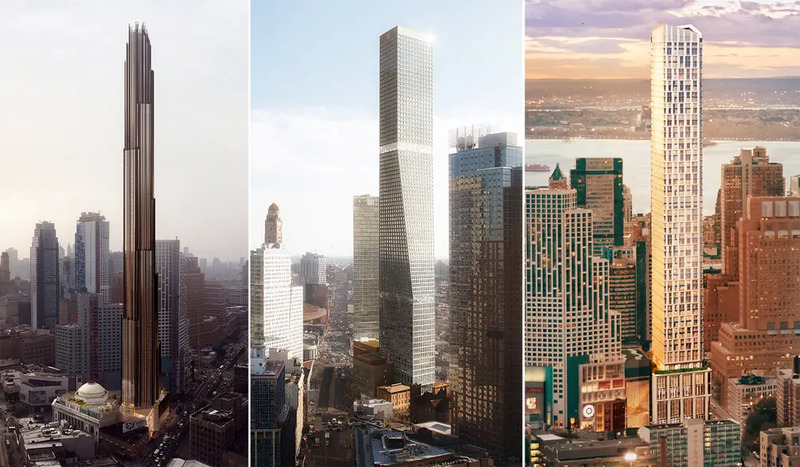 The new towers - The Brooklyner (531’), 388 Bridge Street (590’), Avalon Willoughby Square (595' or 624'), and current tallest (or is it?) Hub (610’) - have sometimes been accused of not living up to the borough’s creative spirit. Now, a new wave of spires will nip at the ephemeral title, but this time will soar in both height and style as the borough grows in affluence. Three new towers, two of them supertalls, are poised to straddle Downtown Brooklyn's Flatbush Avenue. Originally a Native American trail, the burgeoning skyscraper corridor has long been anchored by the Williamsburgh Savings Bank and Atlantic Terminal — the city’s second-largest transit hub that is home to 28 train and bus lines. In the late 1920s, the area was slated to become Brooklyn’s “Midtown district,” and now, a century later, a necklace of towers are rising to take full advantage of its rich transportation options, the resurgence of brownstone Brooklyn and the proximity to Manhattan. First up is 9 Dekalb. Sited behind the Dime Savings Bank and next door to the original Junior’s Restaurant, the 1,066-foot-tall tower will be the second tallest building on the East Coast outside of Manhattan. Developed by the fearless young firm of JDS Development with the Chetrit Group, and designed by the cutting-edge office of SHoP Architects, the 73-floor tower will host 500 rental apartments and a retail podium connected to the neighboring banking hall. The Dime, which is both an exterior and interior landmark, will be completely restored as part of the project. 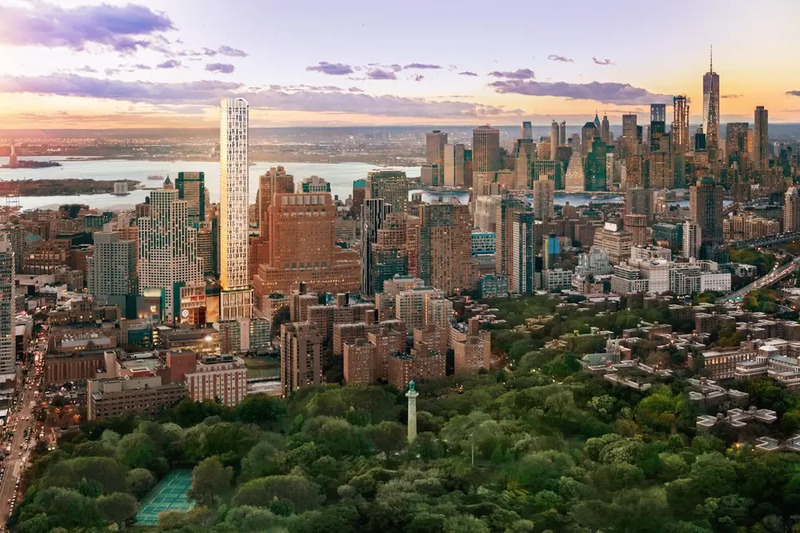 Knighted Brooklyn Point, Extell Development is erecting a 68-story, 720-foot-tall tower that will momentarily be the king of Brooklyn’s skyline. Already several floors out of the ground, the skyscraper will become the tallest building in NYC outside of Manhattan upon opening in 2020. Earlier this month, the team announced that it will be topped by the highest rooftop pool in the city, besting the current title-holder 1QPS Tower by nearly 200 feet. The pool and deck, designed by Mathews Nielsen Landscape Architects will be complemented by outdoor showers, changing rooms and lounging areas; and will be just a part of a lavish 40,000 square feet amenity package. The muscular yet lithe design was crafted by the global architecture firm Kohn Pedersen Fox (KPF). Its public face will be distinguished by a checkered façade of full-height windows, beveled window surrounds, and an angling roofline that will be a standout in Brooklyn’s flat-topped skyline. Inside, there will be 458 high-end condos coming in a variety of studio to three-bedroom layouts. Designer Katherine Newman is handling the fittings and finishes of the interiors which she says seek to fuse American and Danish mid-century design to embody a unique “Brooklyn industrial chic” aesthetic. Sales are to launch later this year and prices will start around $840,000. Earlier this week, Alloy Development released new details and renderings of its proposed mixed-use development at 80 Flatbush Avenue. First released in April 2017, the design-development firm modified its five-building proposal following negotiations with local stakeholders. 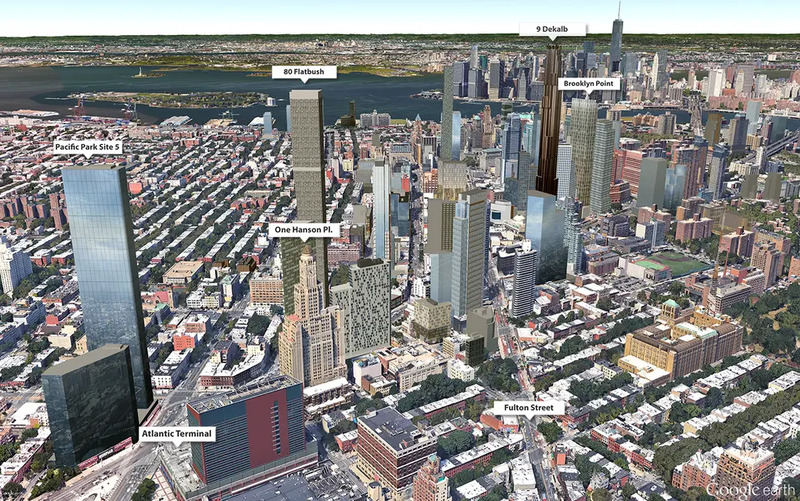 The taller tower remains 74 stories, 986 feet tall (a supertall by some measures), while the smaller, 38-story wing has been slenderized and will be clad in a masonry facade to better complement the nearby Williamsburgh Savings Bank Tower (One Hanson Place). The plan hopes to bring 900 apartments, with 200 affordable units to the transit-rich location. Two nineteenth-century buildings will be adaptively reused with one planned to serve as a cultural center. Additionally, the plan includes two new schools, 200,000 square feet of office space and 40,000 square feet of retail. The plan will be constructed in two phases with full completion expected in 2025. Later this winter, the public review process will begin which will bring the project before local community boards, the Brooklyn Borough President and the City Council. 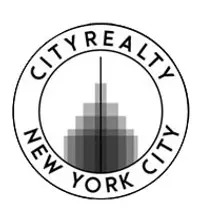 9 Dekalb, 340 Flatbush Avenue Ext.